Where Have They Gone? Where Are They Now? 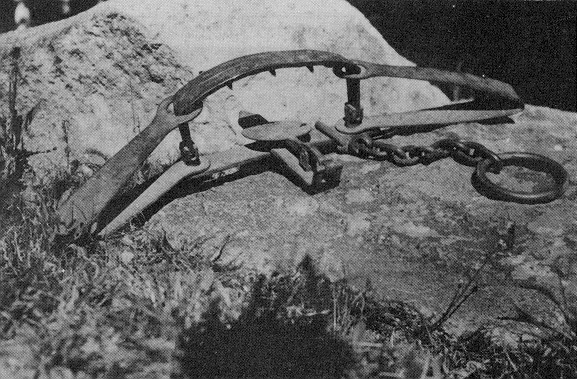 This was the main tool of "wolfers"
and even into the 1940s and 1950s. As with many other of the world's species, the existence of the gray wolf of the Sierra Madre was almost completely eliminated. When the Europeans brought in their livestock, a major conflict between wolves and humans began. Mexican wolves, who ate sheep and cattle in part because their natural prey had been depleted by over hunting, were killed whenever encountered by man. During the 1890's drought and over-grazing made ranching a marginal business in the Southwest and the livestock industry united in a campaign to eliminate all predators of domestic livestock. The US. government was powerfully influenced to aid in the removal of the mexican gray from its western range lands and to ensure that no reservoir of breeding wolves remained for re infestation. In 1893, the Arizona-New Mexico Territorial legislature passed the Territorial Bounty Act, which allowed counties to appropriate money for the payment of bounties on "predatory wolves, big bears [grizzlies], mountain lions, bobcats, and coyotes." PARC, the Predatory Animal and Rodent Control Service, a section of the federal Biological Investigations Division, was established in 1915 and focused mainly on the extermination of wolves. The early agents of the PARC were not biologists; they were trappers and hound men, and only a few kept careful notes of their observations. It wasn't until later that the more responsible agents became inspectors, and others district administrators. District supervisors started filing periodic newsletters and annual reports summarizing the efforts of their hunters in the 1920's. 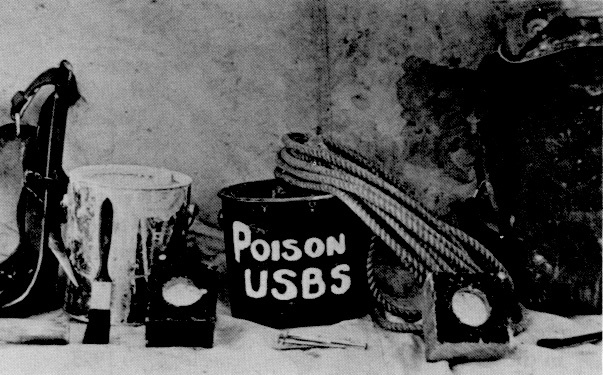 With the use of airplanes for tracking, modern firearms, steel leg- hold traps, strychnine and arsenic, wolves were taken at an alarming rate. Control work on and near the Mexican border resulted in few if any, wolves infiltrating across the United States-Mexico border. The last (verified) wolf caught crossing the border was shot in 1960. Fortunately, for the wolf, the reason this species did not go extinct much earlier is only due to a lack of concentrated effort to seek out the last remnants in the wilder parts of northwest Mexico. was used to carry equipment when hunter was on foot. Sixty years and millions of dollars later, the dire predicament of southwestern wolves finally became apparent to the Office of Endangered Species of the US. Fish and Wildlife Service. They commissioned Roy T. McBride, a professional predator hunter of the southwest, to supply wolves for a captive breeding program and to document the known occurrence of remnant wolf packs in Mexico. Under contract, he then provided the US Fish and Wildlife Service with an informative, proficient report of his experiences with wolves in that country. Currently the presence of Mexican wolves has not been confirmed in the United States since the early 1970's or in Mexico since the early 1980's. Unconfirmed reports of Gray wolves persist from Durango, Chihuahua, Zacatocas, and Sonora, Mexico and from Arizona and New Mexico inthe U. S.